With this being a very trying year with a lot of challenges along the way, a large question emerges. What is left in my soil for nutrients? This is a very good question because some areas were very dry and produced below average yields. Others were very wet and produced an above average yield. But definitely the worst cases are the hailed fields. The reason the hailed fields are so tough to figure out is because the crops were at 70 to 75% moisture in the kernel or early dough stage. This means that a good portion of our fertilizer that was placed in the ground at seeding time was already used. Then we started to see some intense regrowth from the hailed crop which started to pull large amounts of nutrient again. 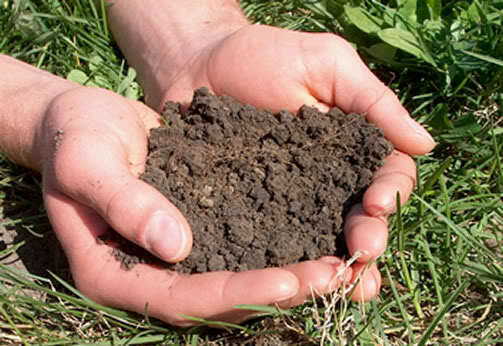 So one of the best tools you can you to determine what is left in the soil is a soil test. There are a few things you need to make sure when you are ordering your soil test. The first thing you need to make sure is that your agronomist is GPS referencing your soil points. With the lack of GPS referencing this is the biggest factor why in western Canada only 30% of our agricultural land gets soil tested and the growers feel this step is a waste of time. With GPS points you take away the large peaks and valleys that you will see on your tests and will see a consistency with your nutrients. Without referencing your points you are basically wasting your time and money doing any soil testing. Second, do a complete analysis in your topsoil depths. You are trying to make a decision based on the information you have in front of you. The more information the better and easier your decision will become. There are a lot of relationships in your soil test results. For example, phosphate-calcium, potassium-magnesium and sodium-sulphur. With a basic N-P-K-S test it is like wearing a blindfold and having two pin holes to look out. Yes you may be able to see out but you can’t see the whole picture of what is around you and things are not very clear. If your agronomist is only doing an N-P-K-S test then ask him why he doesn’t want to give you a complete picture to look at. The third thing would be to do at least a double depth test. A single depth test of a 0-12” will give you your nitrogen and sulphur levels but will not give you a clear indication of your phosphorus, potassium and micro nutrients. At a minimum look at doing a 0-6” complete analysis then a 6-12” sub soil test for your nitrogen and sulphur. I find a 0-6” complete and a 6-24” sub soil give a very good window of what is happening in your field. Lastly, your nutrient recommendation should be made by your agronomist. That is their job not the labs. The labs recommendation is a computer generated recommendation based on averages. Your agronomist should be able to make sound agronomic recommendations based on your yield goals and knowledge of the soil. Don’t be afraid to ask your agronomist questions about their soil testing protocol and if you don’t like the answer you are given don’t be afraid to look elsewhere for those answers. It is a big decision going into the next growing season so line yourself with people who can help you with those decisions. Fertilizer prices have been on the minds of farmers all winter and that trend still continues into the spring. Almost every single day on RealAgriculture.com the fertilizer label or a fertilizer story is the most viewed page. I checked out Google Trends and the data on the search for the word fertilizer. You can type any word into Google Trends and it will provide you with search data back. When you look up fertilizer search over the last 12 months, Canada ranks 7th in the world behind countries like Pakistan and India to name a few. The top five cities in Canada for search of “fertilizer” in the last 12 months are Winnipeg, Calgary, Vancouver, Toronto and Montreal. The fertilizer buzz has died slightly but it still seems to be forging ahead as we get closer to spring. In one week Ag Expo in Lethbridge, Alberta begins and it will be interesting to get a better sense of where farmers and dealers think the price is headed in the short and medium term. Last week at the Crop Production Show I sat down with David Asbridge, Client Development Manager / Senior Economist with Doane Advisory Services. Doane Advisory Services is the largest agricultural advisory company in the United States. Here is Part 1 and 2 of the interview that I participated in with David at Crop Week in Saskatoon. I would like to thank David Asbridge for allowing me to film this interview that we did in the media center at Crop Week and for the support from the rest of the media contingent at the event. If the video does not embed for you here are the links. What will Fertilizer Prices Do? Garth Donald – Dynagra VRT – Fertility Management from RealAgriculture.com on Vimeo. It is no secret that fertilizer is a hot topic for North American farmers this winter. With the volatility of fertilizer over the past 12 months and the increased speculation towards where the price is going, it seems that farmers and retailers have fertilizer on their mind 24/7. Fertility management is key is in managing your input costs and getting the ideal yield. I firmly believe that the days are gone when you can afford to not soil test or apply the same rates of fertilizer because that is what your dad did. The science of fertilizer is becoming more complicated as agronomists get more research as to how the different elements in the soil react to one another at different rates. I find that there are many old wives tales in regards to fertilizer do’s and don’ts. This is one of the reasons that the agronomy consultant industry has ballooned in the past five years as farmers try to gain every advantage they can. I encourage you to challenge your fertilizer retailer or agronomist with questions regarding their recommendations to make sure that you understand why they are recommending certain application rates. You need to spend as much time on figuring out the proper application rates as you have spent this winter on getting the best price you could. With the combination of GPS, mathematics and improved user interfaces’, variable rate technology is gaining more attention from Canadian farmers all the time. This is mainly due to higher fertilizer prices over the past two years and improved seeding system user interfaces. Variable Rate application does provide you with the opportunity to manage your application of fertilizer more effectively. For more information on Dynagra VRT click on the link. In the short life of RealAgriculture.com, by far the most interest has been in the fertilizer stories. Fertilizer prices are a very hot topic in newspapers, on the Internet and in the coffee shops across North America. Due to the volatility of the fertilizer market over the past 12 months, the spread in pricing from one retailer to the next can be wide. Larry Weber, a market commentator has started the website Fertilizer Buddy to encourage farmers to share fertilizer pricing across Canada and the United States. Some posts on the site are critical of Weber’s motive and whether or not the information is legitimate based on some farmers posting anonymously. But all in all I would say that the prices supplied by visitors to the site are legit and in good faith. I think that it is important that we do not let the possibility of a couple unscrupulous people wreck a really great idea. When I discussed the site with several ag input retailers across Western Canada, the feeling was that farmers sharing information is a good thing but make sure that the information is correct. Making decisions based on false information is just as harmful as having no information at all. Questions to ask yourself when reading the prices are for example, what are the payment and delivery terms? With farmers still in shock from the volatility of the past year gaining more insight is a great way to make better decisions. Larry Weber and I have been playing phone tag for a week, as a result I was unable to get him to provide comments on the overall results of the site. When we do connect I will follow up on this story. There are signs developing which indicate much higher fertilizer prices come this spring. The biggest being last weeks announcement to halt production at Agrium’s Ft. Saskatchewan production facility. As expected the pipeline is full due to lower purchases by farmers this fall as they waited for lower prices. It really feels like the perfect storm is building this spring for much higher fertilizer prices. In its press release Agrium stated…. 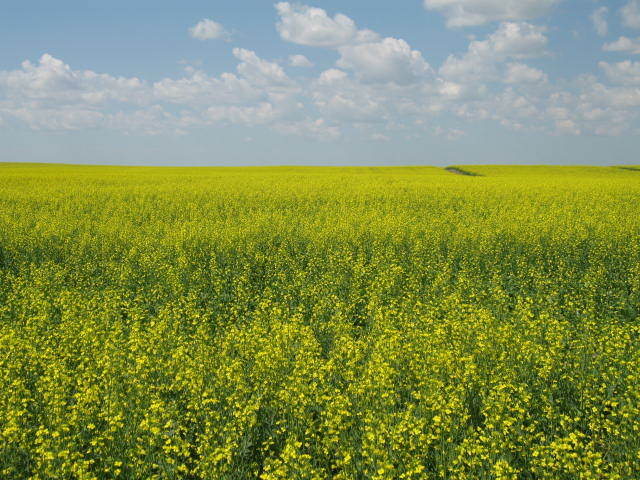 CALGARY, Alberta — Agrium Inc. announced today that it has shut-in production at its Fort Saskatchewan nitrogen facility and has further curtailed production at other major nitrogen and phosphate plants in North America. The temporary curtailments are necessary due to a significant build in North American fertilizer inventories and declining available storage capacity. The fall of the urea price is reality but be very careful of what is ahead for spring. I know that crop prices have gone down and you feel a bit jaded by input prices staying relatively higher but the reality is that making good business decisions should not be overshadowed by the fact you are frozen with pricing anxiety. Remember that buying in increments is not bad management. Fertilizer has been falling lately and depending on who you are talking to the bids are quite variable. If you have not purchased any fertilizer yet this fall now might be a good time to begin to chip away at some inventory. With prices in the 600-700 range, prices are considerably lower than 5 months ago. Do not fall into the trap of continuing to hold out for more extreme pricing. The recent drop may be the reality going forward or it may be a short term downward blip. I don’t think that anyone knows. Many farmers were burnt this past year by not applying the art of incremental selling of their crops by holding out for $20 canola. Incremental buying works under the same principal and is just as effective. As I talk to customers it seems that there must be lower amounts of fertilizer being purchased this fall. I think that there is less fertilizer being purchased for a couple different reasons. One is that there was a significant amount of equipment and infrastructure purchased by farmers in the spring while prices were double of today. There were many combines, bins and tractors purchased this past spring that I am some farmers would like to rescind their orders on. Calculating your ability to service the debt on a tractor with $15 canola versus $8.50 is much different. Pile on top of this a tightening credit market and spending is tight for inputs like fertilizer. Secondly, there seems to be a deep conviction that due to Ag commodity prices dropping that fertilizer must due the same. This is more of the theory that I am following. As I have written before either Ag commodity prices are going up or fertilizer must come down. I think farmers are a little bitter to the huge drop in farm prices and locking in high fert prices now would be a double whammy to the income statement. I spent a an hour today talking to several people who understand the fertilizer market better than myself. I am trying to get a better handle on where the price of urea is going to move between now and spring. Common sense tells me that is corn is going to drop between $4 and $5 urea cannot hold at $900 per MT. If the price of urea does hold I think that it is going to significantly squeeze the bottom line of farmers across North America. when corn was $7.50, $900 urea was tolerable and possibly justified based on the demand. As Ag-commodity prices move closer to the lows of 3 years ago, operating margins are definitely being squeezed like a bear hug from Andre the Giant. If commodity prices continue to depress and fertilizer prices hold the North American farmer is definitely in for some tough times and we will all sit back and remember the one good year of 2008. I am planning on continuing my research on the subject and sharing my finding in this blog, in Grainews or in the Haney Farms Quarterly. You are currently browsing the archives for the Fertilizer category.